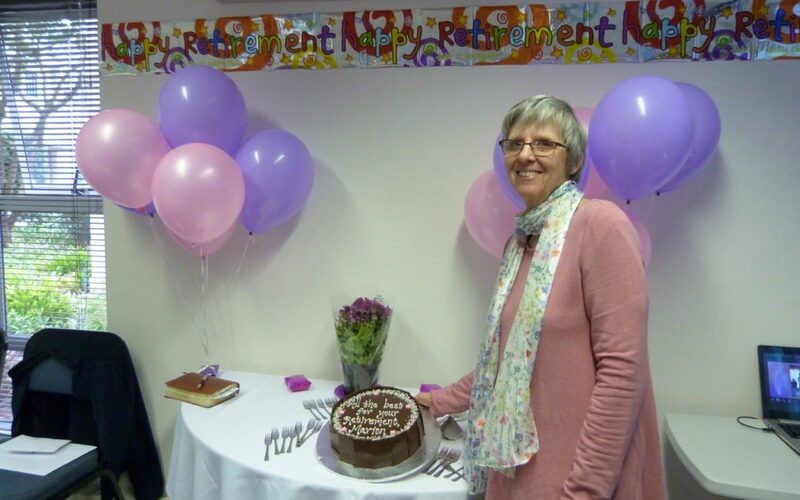 One of SIM South Africa’s longest-serving employees retired in June after 17 years of service as personal assistant to the director. “What’s kept me going all these years? Only the Lord’s strength and to trust in Jesus for every minute of every day. I’ve had some challenging times, and He’s always been my rock,” said Marion Frylinck. “To be a part of the mission was mind-blowing, to hear and see how God was working around the world. It was just an awesome journey,” she said. Marion was born on a farm in Rhodesia, moving to Cape Town in 1976 with her family. Before coming to SIM in 2001, she had worked for a corporation for 15 years and as a doctor’s medical receptionist but never in ministry. SIM South Africa’s former and current directors both praised her for her contributions to the mission and toward their own work in the position. 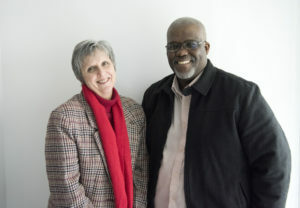 Current Director Siegfried Ngubane also thanked Marion for her contributions to the mission, adding that she “was a huge assistance” to him when he came into SIM as director in 2010. Indeed, Marion has been present for many changes at SIM South Africa, from the sending and receiving offices merging to changes of leadership, method and focus to the inevitable turnover of missionaries. “It’s been huge change the whole way; it’s just never stopped changing,” she said, adding that it was “a great privilege” to work with two directors and that she learned a great deal from each. Her greatest joy in her work was meeting applicants and getting to know them as they went through the process, served on the field, and came back with stories of how God was using them out there. “It was just fantastic to be a part of that,” she said. Like many pensioners, she will miss her colleagues but plans to maintain her friendships, and she is excited about spending more time with her family. She has three daughters, all grown and with families of their own, and four grandchildren. One daughter lives in England, while the other two in Cape Town. She also helps care for her mother in a frail care facility. Her husband, Sid, went home to the Lord about twenty months ago, and Marion, after completing the grief share programme at her church, has become very involved in facilitating this programme. Her retirement is freeing her to dedicate more time to that ministry, and she is grateful for the chance to help and love others who have lost loved ones. “The grief share is really bringing a lot of people alongside my path,” she said. Marion invites Christians and non-Christians into her home for coffee, Bible study, and a chance to share their grief with others who understand it. “So I’m very excited about that. For once, I’ll be on the cutting edge of missions instead of sitting in the back office, but I’m just waiting on the Lord to see how He directs and grows that ministry,” she said, adding that her church is being very supportive in pastoral and practical ways.